State support for UBS and ING has made just 9 pct and 3 pct internal rates of return respectively. That’s not a commercial success. But the governments’ actions prevented a far worse outcome. That taxpayers are back in the black is an added bonus. UBS paid Switzerland’s central bank $3.76 billion on Nov. 8 to buy back the stabilisation fund set up five years ago to hive off the financial group’s troubled assets during the crisis. 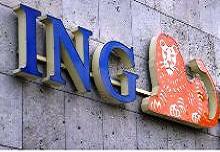 ING on Nov. 1 paid 400 million euros to the Dutch state to end a joint arrangement to sell down illiquid assets that the government took on in 2009. The state intends to sell down a remaining 9 billion euros of assets, worth about 6.4 billion euros on a mark-to-market basis at the end of September, in the course of the next year. The deal is subject to approval by the European Commission.